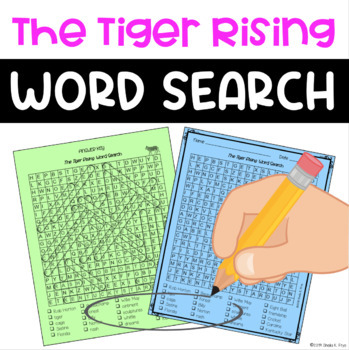 Word Search - The Tiger Rising - Fun Bell Ringer/ Early Finisher Activity! 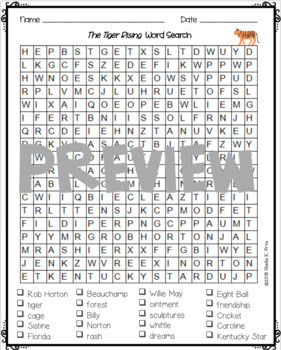 This is a word search for the novel The Tiger Rising by Kate DiCamillo. With 20 key words relevant to the text, it would be fun as a bell ringer, early finisher, or post-reading activity. Answer key included. I have an ESCAPE ROOM for The Tiger Rising! Click here for a character analysis Interactive Notebook for this novel. Looking for a bookmark for The Tiger Rising? Click here. 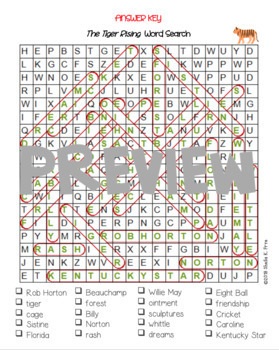 Check out more word searches here. Rating after downloading is greatly appreciated.